Everyone enjoys a nice walk in the fresh air from time to time right? After all, it's just a nice thing to do isn't it? As it allows you to stay active and get some exercise without leaving you feeling tired or out of breath. And it can be a social activity too. Whether that's by chatting to other dog walkers as you take Buster for his morning constitutional. Or going for a Sunday afternoon stroll with your friends and family. And it's an activity you can easily incorporate into your day without having to set aside big chunks of time to do it. Add to that the fact that it's free and can be done anywhere and at anytime. You don't need any special equipment to do it. And you can even stop off for a quick pint halfway through if you like. Then there are not many forms of exercise that can match up to it for enjoyment! So walking is a great activity that will get you outside and to keep your body healthy and moving. And it's good for you mentally and emotionally too, as a good walk can really refresh the mind and leave you feeling great. But did you know that walking can also be great for reducing your lower back pain? Alongside the regular health benefits of walking, studies have found that it's great for people with back pain too. As walking regularly and to a moderate intensity has been shown to reduce pain, and be a safe and beneficial activity for people with chronic lower back pain. Well, as I mentioned in the intro, walking will help you to improve not only physically but mentally too. And you need to be healthy in both of these areas to be able to manage and get rid of persistent back pain. Walking regularly helps you to stay more mobile and active. It strengthens the muscles that support your spine, namely your legs, hips and core muscles, which helps you to maintain good posture and spinal alignment throughout the day. Walking increases your circulation, meaning oxygen and nutrients make it to your muscles and tissues more easily allowing them to strengthen, heal and repair. It also strengthens your bones. And when you are walking there is less compression on your spinal discs than when you are sitting or standing, which allows them to stay healthy and support your spinal movement. Improving your mood which will give you a more positive outlook making it easier to manage chronic pain. Releasing endorphins that make you feel good and also block pain signals to the brain. Giving you more confidence in what your body is capable of, which makes it more likely you'll remain active in other areas of your life. Pretty good for such an easy and pleasant activity right? However, before you begin you need to make sure you are doing two things correctly. And that is wearing the right footwear and maintaining a healthy walking technique. Finding the right pair of walking shoes may not sound like a difficult thing to do but it can be a bit of a minefield. And it's vitally important that you get it right. Because a good pair of walking shoes will help to keep your body balanced and aligned as you walk. And they will also absorb any shocks by cushioning the impact of your steps, which minimises any jolting and jarring on your spine. However, if you are wearing the wrong type of shoes the opposite is true. As you feel every single jolt which can cause your joints to ache and muscle imbalances to develop in your body. And even the slightest imbalance when walking can lead to further aches and pains in your lower back. Now this can be difficult as there are so many different types of shoes available. This is because everyone is different as we all have a different gait. And while some of us have feet that roll inwards when we walk, others have feet that roll outwards. So you need to find the right pair walking shoes to support your own personal gait and walking style. There are many different types of walking shoes designed to fit people with different types of foot arch and walking gait. And while everyone walks with a different gait​ we all have our own certain type of foot arch too. Now people generally have one of three different types of foot arch: flat footed, normal arch, or high arch. And no matter which combination of gait and foot arch you have there are walking shoes especially designed to help you. However, the problem is knowing which one's are right for you, because if you pick the wrong ones they can do you more harm than good. But a good way to navigate through this minefield unscathed is to visit a store that specialises in running equipment. As these stores have staff that are trained to find exactly the right type of shoes you need. So you can be sure to find a pair to keep you healthy and supported as you get into walking more regularly. 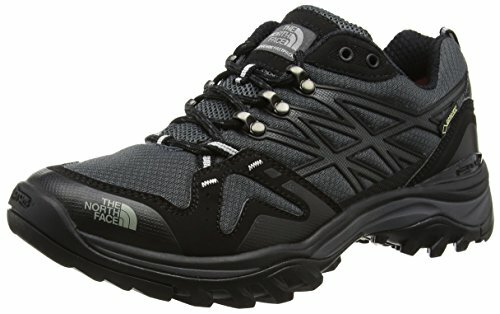 But if you do want to buy a pair online then a good pair all rounders I'd recommend are the North Face Hedgehog GTX walking shoes. As these are lightweight, supportive, breathable, and provide good protection from the elements being waterproof. So they are equally good for walking in warm or wet weather. Now you may think that walking is something that just comes naturally and isn't something you need to think about. But walking with a bad technique and unhealthy posture can cause pain, strains, and muscle imbalances throughout your body. As it puts extra pressure on you with each step you take, which will only cause your back pain to intensify. Therefore it's vital to get into good walking habits. Walk more comfortably and for longer. Stop muscle imbalances from developing. But what constitutes a good walking posture? To help you here's a good article on this subject that will help you to understand what you need to do to make sure you are walking correctly. And the video above can help too. Because by making sure you have the foundations of a healthy walking technique before you start you can gain the maximum benefit from your walks. And not do yourself any further damage. Ok, so you have the right footwear and your walking technique is all sorted out so it's time to get out there and start walking. And the good news is walking is probably the easiest activity to get started with. As all you need to do is open your front door and off you go. However, when you first start out it's important not to overdo things. So don't be like me and go on a 14 km hike straight off the bat and spend the next week with serious leg cramps! Instead start slowly with a couple of gentle 10-15 minute walks. Then gradually build this up over time until you can walk briskly for between 30-60 minutes at a time. And when I say walk briskly I mean ​walking with enough pace to get the aerobic benefits but not so fast that you'll be out of breath. So if you find you're walking so fast that you can't talk at the same time slow down a touch. This is because walking up and down hills and slopes puts extra​ strain on your back and can unbalance you. So build up your walking proficiency first before venturing away from the flat ground. Getting started with walking is only half the battle. As to feel the real benefits you need to make it a regular part of your daily routine. So once you are up to a decent level try to make going for a walk something you do regularly. Personally I go for a 45 minute walk every morning when I have the time, as it really helps me to wake up my body and freshen up my mind. But I understand that not everyone's schedule will allow for this. However, do try to find a time every day that you can dedicate to going for a walk. You can even incorporate walking into your day by parking the car further away from work, or walking to the shops rather than driving. And a trick to keep yourself motivated is to make your walks social. So ask your friends if they'd be interested in going for regular walks too. Because this will mean you can keep each other company and motivate each other. But if you can't find anyone don't worry as there are many walking groups around that you can join. And these groups are great as you get to meet new people which is good for your mood while also getting your exercise in. 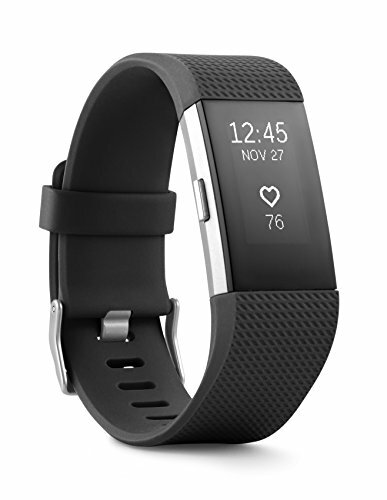 Or if you'd rather walk alone a good way to keep yourself motivated is to use a fitness tracker such as the FitBit Fitness Wristband. As this will allow you to set daily goals and keep count of the amount of steps you take, the calories you burn, the distance you cover, and the time you spend walking. And keeping track of these stats is not just a great way to follow your progress. It will also push you on to go out walking on days where you might not fancy it. Now before I go one here you need to remember the golden rule when it comes to exercising for people with chronic lower back pain. Which is don't overdo it! But if regular walking is a bit boring and too easy for you there are more challenging options you can try. And one of these is Nordic walking. This is a form of brisk walking where you take long strides and at the same time use your arms to plant walking poles in the ground as you go. So in a way it's quite a similar activity to using the cross trainer at the gym, and unlike regular walking it works 90% of your bodies muscles at the same time. And it was found in one study to not only be helpful​ for people with chronic lower back pain, it also reduced the amount of pain medication they needed to take afterwards. So if you are after more of a workout than just a brisk walk you should give Nordic walking a try. As it's another great option for keeping you active. And you don't need to be in Scandinavia either, as there are Nordic walking clubs popping up all over (you can find your nearest one in the UK by clicking here). So it can be another social walking option too. ​I hope that after reading through this article you can see that walking can be more than just a pleasant activity. Because when it's done regularly and correctly it can be a massive help in reducing your back pain. ​And this can be acheived through normal, brisk walking, either alone or with friends and family. Or through Nordic walking if you want something more challenging. But whichever form of walking you decide to go for, getting into the habit of walking regularly will bring great benefits for your health and your ability to handle your chronic pain. So while living with persistent back pain isn't a walk in the park, walking in the park can certainly help!